Nice hotel. very clean and the staff were friendly and helpful. It was a good room but a little cold at first. The restaurant was good. Adequate for one night only. All round great value, excellent location and a very fine restaurant. Used extensively on Sundays. 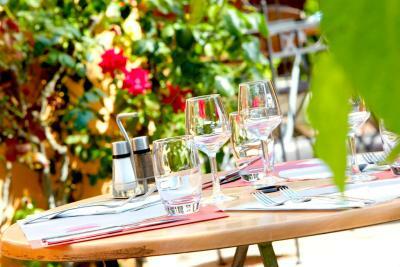 Impeccable cleanliness and very attentive staff. 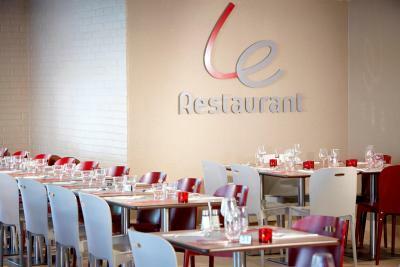 Very regular busses to and fro Rennes center, Flunch, and a 24/7 Mac Do, and an excellent restaurant in between! Massive Le clerc 3 mins from the hotel! This hotel was just off a roundabout and easy to find. It was very near to a large Le Clerc which we went to look at. The staff all spoke English and were very helpful. The room was the usual Campanile style and again the free parking in a secure car park is why we tend to use them. The Internet was free and very easy to connect to. 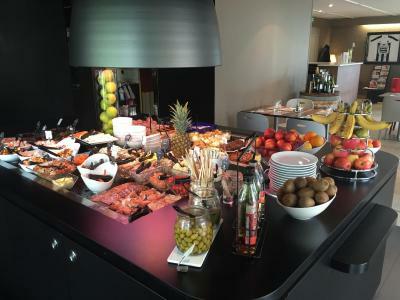 The meal was adequate and so too was the breakfast. Brilliantnlication as we were heading to roscoff ferry. This is just off the main road and easy to find. Modern rooms with great showers and hot water also spotlessly clean. Very helpful staff who spoke English and a good restaurant with good food. 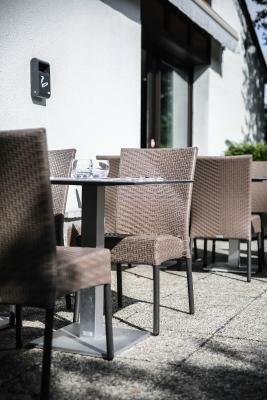 Cant speak highly enough of the place we were very pleased and will definatl use again. Convenience - near public transport. Hypermarket nearby. Great staff - friendly and helpful. The room was good and had plenty of electrical sockets. Evening meal was particularly good. Close to the autoroute. Perfectly good Campanile with usual lovely buffets. Helpful receptionias who brought my bag to my room late in the evening when I'd left it in the restaurant . 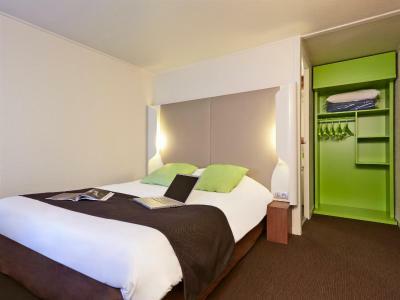 One of our top picks in Rennes.Located in Rennes, a 5-minute walk to the local stadium and right next to Rennes' ring road, the Campanile Rennes Ouest Cleunay offers well-equipped, rooms with attached bathroom and a restaurant with a furnished terrace. Free high-speed Wi-Fi is available throughout. 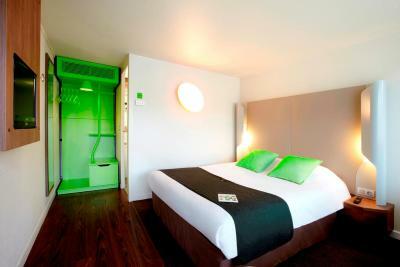 The soundproofed rooms at Campanile Rennes Ouest Cleunay have a flat-screen TV with satellite, Canal + and beIN Sports channels. 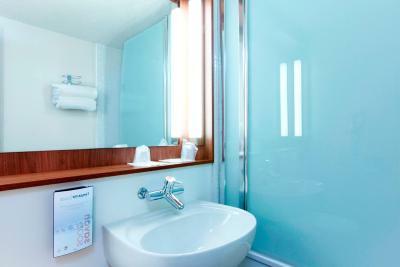 The bathrooms will provide you with shampoo and shower gel dispensers. 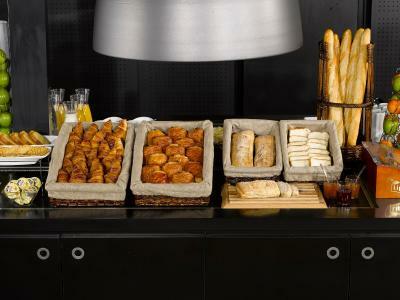 Savory and sweet items can be found on the buffet breakfast and magazines are at your disposal. There is a courtesy tray with hot drinks included in every room. 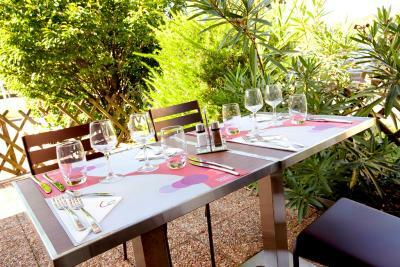 At lunch and dinner times, a large range of main dishes are available and guests may also sample starters and desserts from the buffet. 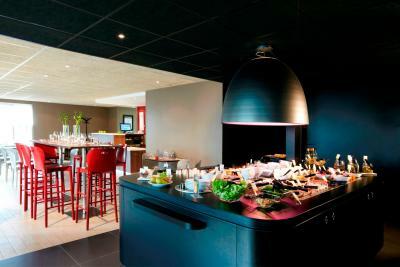 In the evening, until 22:00 and upon reservation, a meal tray can be enjoyed in the comfort of your room. 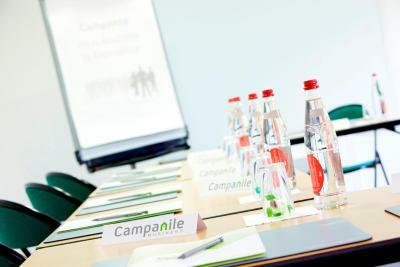 A meeting room seating up to 50 attendees is also available at Campanile Rennes Ouest Cleunay. 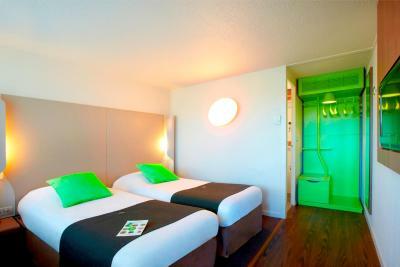 The hotel is a 15-minute drive from the airport and the Parc des Expositions and 2.2 mi from the city center. There is a free, private car park on site. 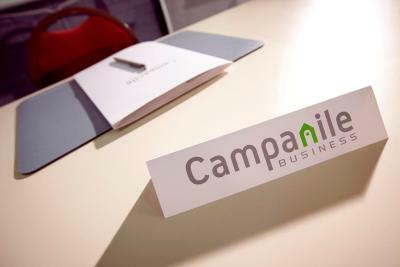 When would you like to stay at Campanile Rennes Ouest Cleunay? 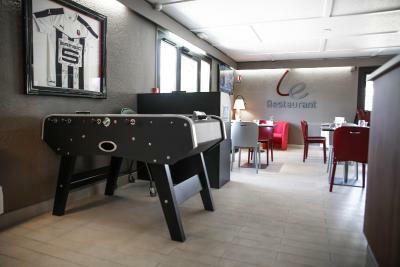 This twin room has an electric kettle, soundproofing and a flat-screen TV with satellite, Canal + and beIN Sports channels. 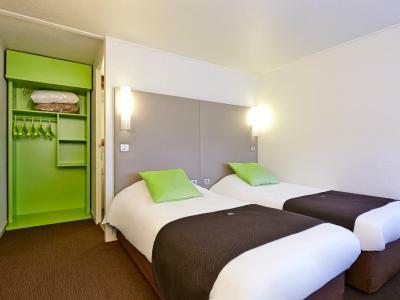 This double room has an electric kettle, soundproofing and a flat-screen TV with satellite, Canal + and beIN Sports channels. 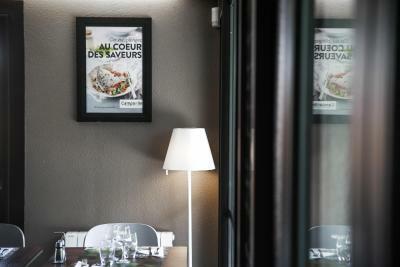 House Rules Campanile Rennes Ouest Cleunay takes special requests – add in the next step! 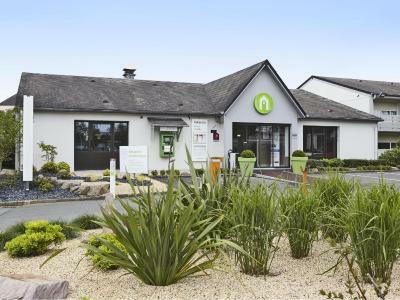 Campanile Rennes Ouest Cleunay accepts these cards and reserves the right to temporarily hold an amount prior to arrival. 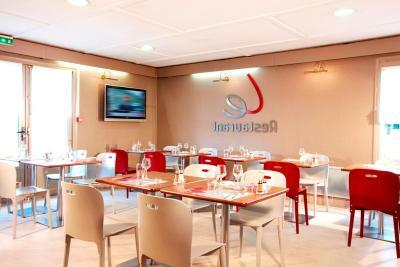 The hotel restaurant serves food from 12:00 until 14:00 and from 19:00 until 22:00. Enclosed private parking is available on site. Room had a smell of cigarette smoke. Easy access from main road. Ground floor rooms good for transferring luggage from car. Good en-suite toilet and shower. The room could have been warmer, but the receptionist was very helpful. Rooms a bit dated. No English channels on television. Some of the beds still line uptothe wall, but changes are being carried out! We were probably in a room where the previous guest(s) smoked. Beds were ok but we could sometimes feel the springs. There was nothing in this hotel to pass a negative about. Choice of main course for evening meal. 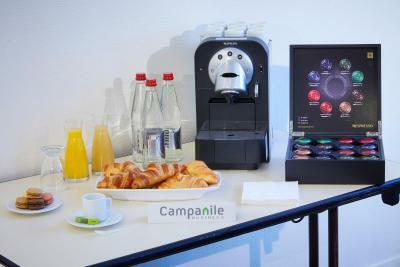 price of breakfast - no facility for light option ie coffee, juice and bread. A bit shabby. Needs some TLC to cheer it up. It was clean BUT needed the windows opening all night as it smelt of stale smoke and the cushions of unwashed bodies. It was clean apart from previously described. Easy to find location, easy check in.